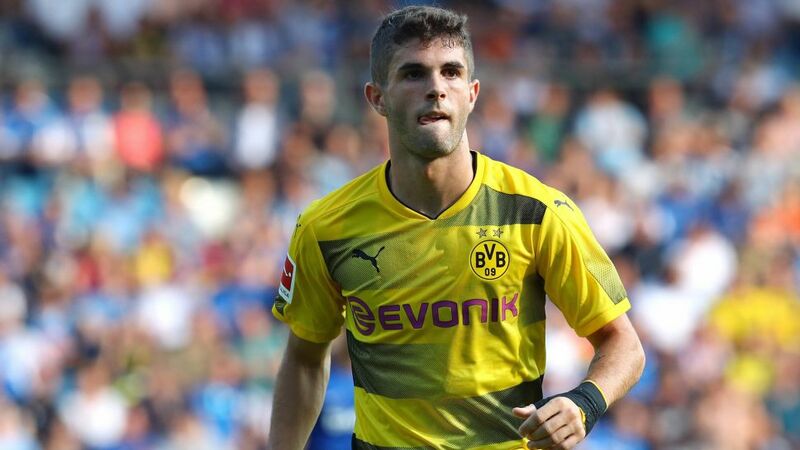 Bundesliga | Borussia Dortmund's Christian Pulisic: "We have a big chance to win the league"
Borussia Dortmund's Christian Pulisic: "We have a big chance to win the league"
Borussia Dortmund and USMNT hero Christian Pulisic isn't nicknamed Captain America for nothing. The 18-year-old midfielder has smashed records by the bucket-load for club and country since taking his senior bow in February 2016 and, after scooping his first piece of major silverware in the DFB Cup last term, has now turned his attentions to dethroning defending Bundesliga champions Bayern Munich. "We've got a big chance to win the league this coming season," he told German sports specialist magazine kicker from BVB's summer training base in Bad Ragaz, Switzerland. Bold words, but by no means misplaced. For starters, BVB have vowed to resist any offers for star striker Pierre-Emerick Aubameyang. On top of that, Die Schwarz-Gelben recently scored a comprehensive 3-1 victory over an AC Milan side that put four past Bayern in pre-season, with Pulisic instrumental. The American mega talent popped up with three assists against the 18-time Italian champions in Guangzhou, seamlessly picking up from where he left off at the end of 2016/17. "Last season was a good step in my development," Pulisic said modestly, having racked up five goals and 13 assists in 43 appearances in all competitions over the course of his first full season as a professional. "I want to build on that. I don't feel the pressure from the fans or media. Only I can put pressure on myself, but I'm trying to keep a lid on things as much as possible." Widely regarded as the most gifted footballer the USA has ever produced, Pulisic has every reason to be cautious. So many before him have found the expectations of a nation still searching for its first true football icon too big a burden to bear. Careers of great promise have given way to careers of mediocrity. Quiz: How well do you know Christian Pulisic? Dortmund's Captain America, however, is no fading star. He is a player with the ability to prosper at the highest level and the mindset to reach the pinnacle of the game. Further silverware with BVB would be a natural part of the process.